Norfolk farming and contracting business WR Chapman & Son added a Kverneland u-drill 6000 to its fleet for the 2016 spring planting campaign because it was looking for a drill that could meet the business’ needs for an all-round performer capable of handling a wide variety of seed types, and in different working conditions. Will, along with his brother Ben, continue to expand the agricultural contracting part of the Chapman operation that was started by Will’s grandfather, William, over 45 years ago. In addition to farming 404ha, the brothers operate a general contracting business from Eastmoor near Kings Lynn, that includes an extensive sugar beet operation from seedbed to harvest, plus combining and maize cropping too – the latter amounts to around 1200ha of drilling and 2000ha of harvesting for local AD plants, which is leading the business into spreading digestate. It is a workload that demands reliable, efficient equipment. 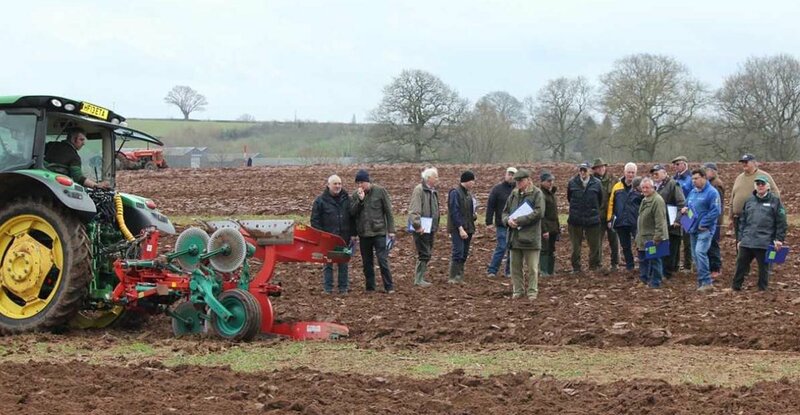 So when it came to replacing the farm’s 19-year old Overum Tive 8m drill, the u-drill was quickly short-listed, based on its all-round performance and capability. Since then, WR Chapman & Son has used the u-drill for almost all its autumn drilling. Only the intervention of wet weather forced the switch to a 4m power harrow drill combination at the tail end of the season. Run through an IsoMatch Tellus dual screen terminal, the drill is handled either by Fendt 820, at speed of up to 15kph, or on the back of the farm’s Challenger MT765C at up to 18kph. “Our land extends from blowing sand, black fen and blue clay, and when we get it right and make the most of conditions, the u-drill is one of those machines that will take some beating,” says William Chapman.